Visitors can take a day trip that departs Maui on the Discover Lanai tour offered by Trilogy Excursions. Photo credit: Trilogy Excursions, Maui-Lāna‘i. Lāna‘i Visitors Bureau is supporting new and revamped activities across the island for overnight visitors and those who opt for a day trip from Maui or O‘ahu. 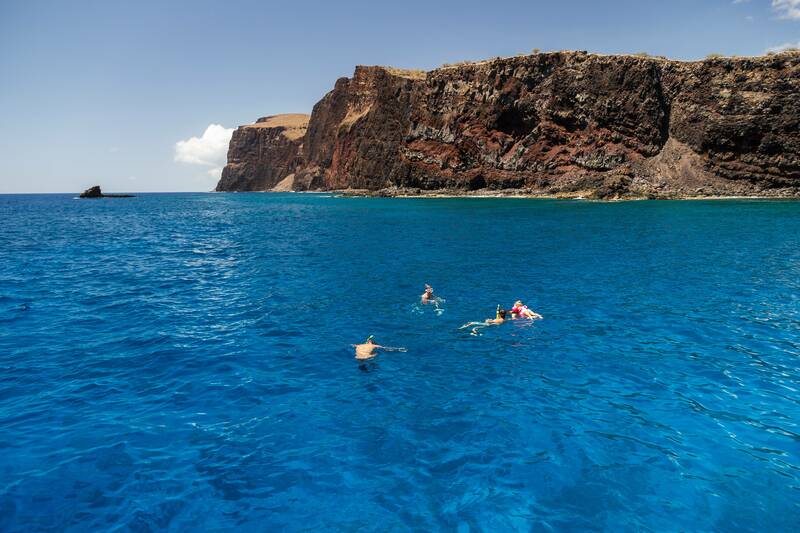 Visitors can swim, snorkel and SNUBA dive Hulopoe Bay, a great spot for water sports. The bay also has a beach park with picnic tables, barbecue grills, restrooms and showers. 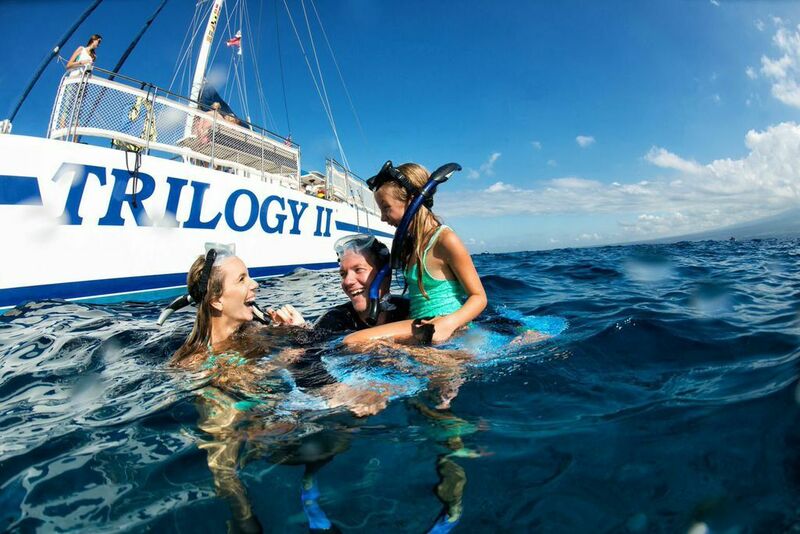 Visitors can take a day trip that departs Maui on the Discover Lāna‘i tour offered by Trilogy Excursions, which includes snorkeling gear, beach volleyball and a tour of the island’s historic plantation town narrated by island-born-and-raised Hawaiian cultural guides. 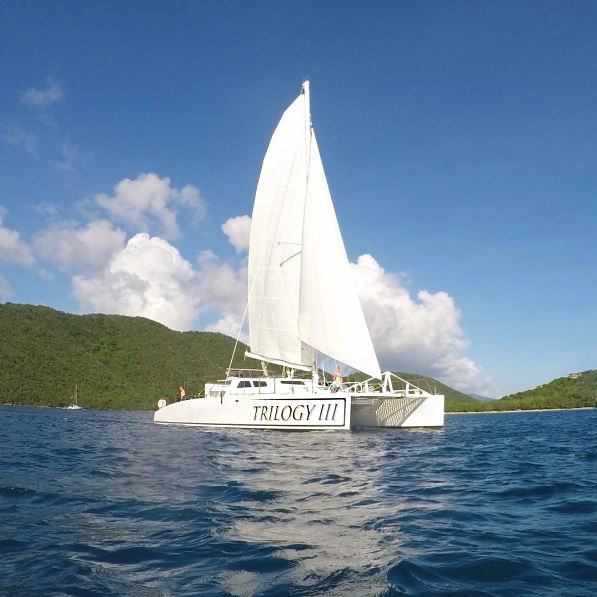 SNUBA diving, a cross between snorkeling and scuba diving, can also be arranged through Trilogy. Visitors can also tour Lāna‘i on a bike. Lāna‘i Cycles offers a guided, three-hour downhill trek. This nine-mile ride showcases spectacular views and starts approximately 2,000 feet above sea level and ends at the island’s big boat harbor. Or choose a half-day or full-day, privately guided mountain or road bike tour. 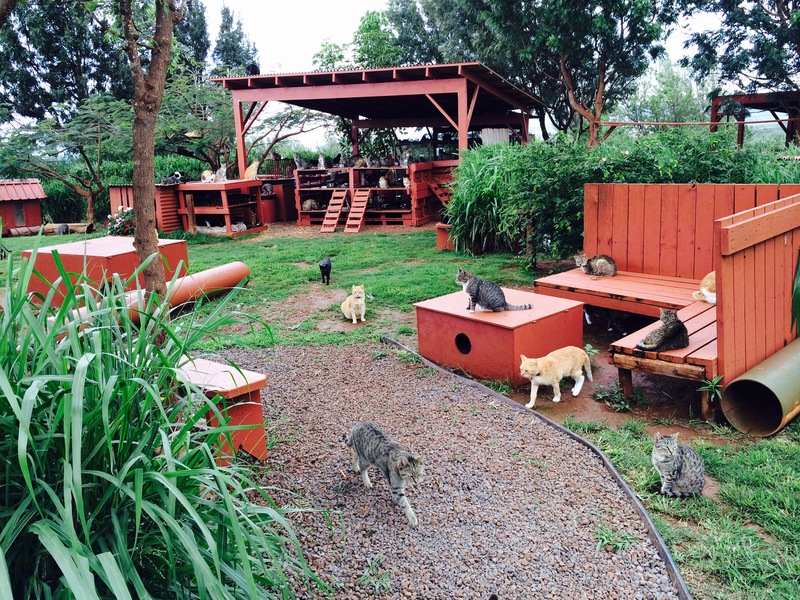 The Lāna‘i Cat Sanctuary. Photo credit: Lāna‘i Cat Sanctuary. Visitors can relax with furry friends at the Lāna‘i Cat Sanctuary, formerly called Lanai Animal Rescue Center. Guests can drop in daily from 10 a.m. to 3 p.m. The sanctuary supplies brushes and toys to those who wish to play and visit with any of the 400 feline friends. For a more in-depth visit, make a reservation for the Founder’s Tour and learn about the organization’s mission and history, directly from the founder. Adventurous guests can choose from multiple hiking trails across Lanai. Munro Trail is a popular eight mile jaunt leading to the summit of Lanaihale, where six islands are visible from the summit perch. The Koloiki Ridge Trail begins from the edge of town and runs through the highlands. It is a shorter hike, but has equally impressive views. On the shore of Hulopoe Beach Park, visitors can choose between two short trails. One leads to Shark’s Bay and the historic Lanai landmark, Puu Pehe (Sweetheart Rock). A heiau, a Hawaiian temple, can be seen from the top of the opposite side of Hulopoe. On the Kapihaa Fisherman’s Trail, visitors peruse past ancient village sites and historic quarries. On the backside of Lanai, is Kaiolohia, a coastal track that parallels the water at Shipwreck Beach. A 4×4 Trekker Tour is offered by Rabaca’s Island Tours and Expeditions Ferry, which is a half day or full day excursion with knowledgeable guides to Kaiolohia (Shipwreck Beach) and Keahiakawelo (Garden of the Gods). Rabaca’s offers a hiker’s package as well as tours to most of the popular Lāna‘i attractions. Guests staying overnight at Hotel Lāna‘i, should enjoy live music on Thursdays and Fridays from 6 to 9 p.m. at Lāna‘i City Grille, located within the hotel. The live music sessions include talented and popular musicians. Throughout the NFL season, the Grille will be open Monday nights from 5 to 10 p.m. They will offer a special bar menu and drink specials while the football game is being broadcast on big screen televisions. Lāna‘i boasts one of the most scenic golf courses in the world, Manele Golf Course. The championship 18-hole course designed by Jack Nicklaus features three holes on cliffs using the Pacific Ocean as a water hazard. Children 17 years and younger play free with paid adult after noon with the “Juniors Play Free” promotion. The “Make Manele Your Own” golf experience includes private access to all golf amenities for up to 20 golfers, unlimited golf at Manele Golf Course, clinics and lessons, morning cocktails, and much more. The course is open Wednesday through Sunday from 7:30 a.m. to 4 p.m. The aptly named Views Restaurant adjacent to Manele Golf Course offers delicious lunch and refreshing drinks. Too many choices? Lāna‘i has that covered, too. Lost on Lāna‘i has conveniently packaged many activities with transportation to simplify your trip. One popular tour is the bike and tour combo which includes round trip ferry tickets from Maui, transportation to and from Manele Harbor, a guided bike tour downhill to Kaiolohia (Shipwreck Beach), a visit to the Lāna‘i Cultural and Heritage Center, and free time in Lāna‘i City. For more information, go to www.visitlanai.net or call (800) 947-4774.